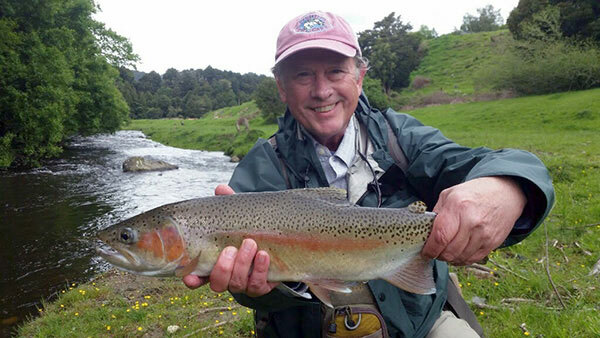 Bruce Zeller with a very nice back country trout caght on dry fly. 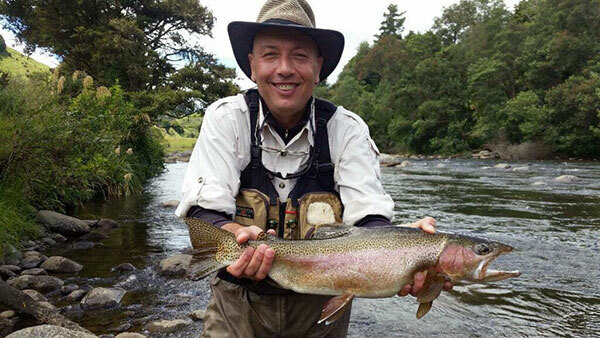 Stephano from Italia holds a supperb Whakapapa system mail rainbow. 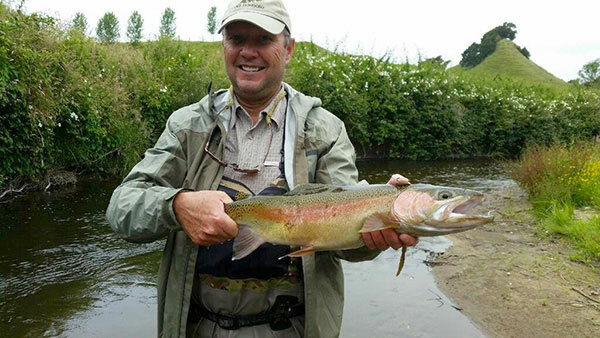 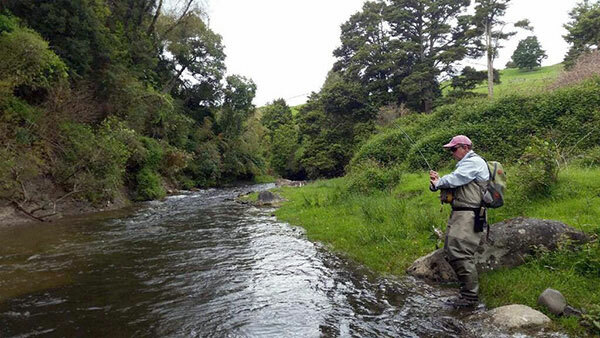 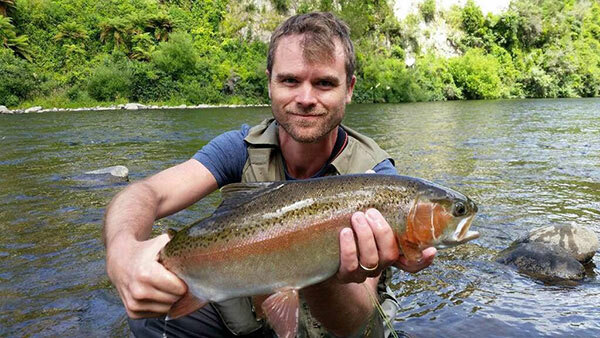 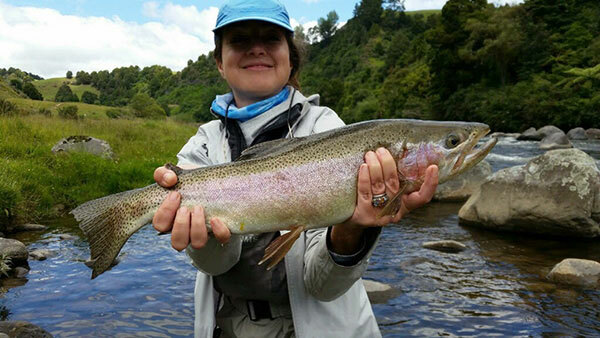 Franccessa form Italia first time flt fishing New Zealand holds a fine Tongariro river rainbow caught in the upper reaches on Manuka Beetle. 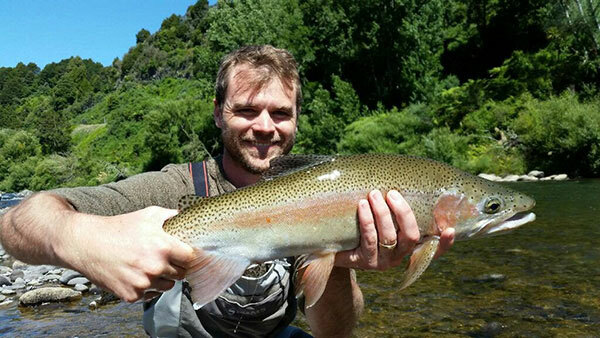 Tristin holds a couple wonderfull rainbow trout in top condition caught on fly fishing back country cental Noth Island NZ. 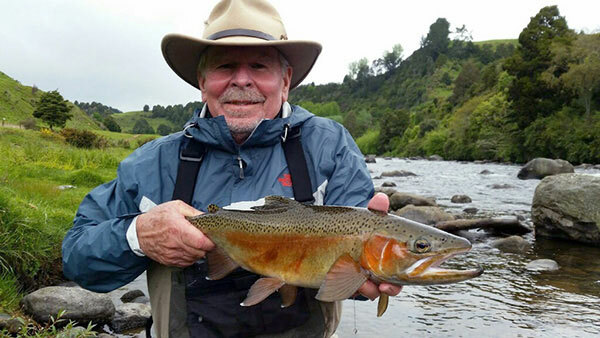 Howard holds this fantastic very red Jack rainbow trout ready for release he caught while fly fishing in Turangi on holiday out from the US.